In June this year, Flipkart relaunched its own labels like DigiFlip and Flippd, as a move to get into the private label business. India’s largest online marketplace is not set to launch its own private label which will start with electronic items, and gradually move to other departments. 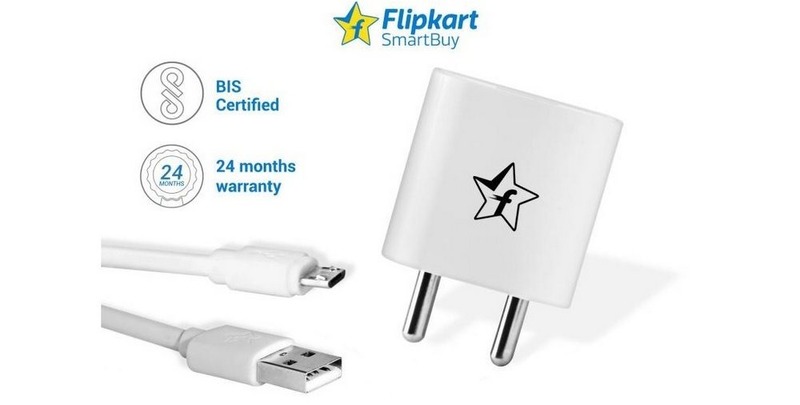 Flipkart has launched Flipkart SmartBuy, a larger private label brand that will host categories from electronic items like mobile phones, tablets and mobile phone accessories, to personal care items like trimmers and shavers. The private label brand will also have home plastics to start with. The company is also set to introduce a second private label brands, alongside SmartBuy, which will include electronic accessories, home decor and furniture. The two brands will be Flipkart’s chance at entering into the private label business. According to industry experts, Flipkart has moved into this space to improve its margins, have a brand name of its own and to battle with the demonetization issues. The company already has its apparel brand, but everyone knows electronics is the hottest category to get into right now. Amazon India too launched its private label, once Flipkart ventured into this space. Amazon Basics also is a part of Cloudtail India, the largest Retail store on Amazon India, that allows it to sell its own accessories in the country. How will SmartBuy compete with other private label brands? All the online marketplaces now have their own private labels, except for Snapdeal that believes in diversifying and getting into as many business as possible. Private labels is an attractive industry, provided you offer good quality at a bargain. As all the large business chase private labels, Flipkart will be sourcing the products globally from China, India and Malaysia. The company believes that since it has full control over its labels, It will reduce returns as it will offer good quality products. Global companies like Walmart are also doing this as you can give the consumer a better quality product for a price point. Having said that, emphasis has to be laid down on the product quality because ultimately that is what matters to the consumer, and that is where the company can turn around its business. Amazon’s own labels, Symbol and Myx are doing well, if not extremely well. Amazon Basics has hit the right chord with the customers, and Flipkart can also hope for the same since it started off as an electronics store. Flipkart owned Myntra also has a few private labels on its side, like Roadsters and HRX, and hence it will focus on electronic items, home plastics, furnishing products and furniture as it expands its label business. Can this business beat Amazon India’s label business? At the speed Amazon is growing in India, Flipkart needs to up its game and rethink its procurement business, which is where it is bleeding all the money. YouTube Tweaks Algorithms to Show More Regional & Interest Based Content! I completely agree with you especially the last two lines that Amazon is now running ahead in Indian market at fast pace and its very difficult to ignore it.